By this point, it’s pretty clear that people want white teeth. As a country, we spend $1.4 billion on consumer teeth whitening products, and the teeth whitening industry generates over $11 billion a year in revenue. We’re not complaining that people are willing to pay to have white teeth, but it does beg the question—what’s staining our teeth in the first place? Foods and drinks cause staining in a couple ways. Foods that are high in acid tend to strip away enamel, which exposes the more vulnerable dentin to staining. Many foods—typically ones with natural bright or rich colors—contain chromogens, substances that adhere to tooth enamel and stain it. Coffee and Tea: Whether you drink coffee or tea to give yourself a quick pick-up, you’re staining your teeth. The acids in these drinks can strip enamel off your teeth—and leave dark stains behind as well. Wine: Most people think of red wine as a culprit for staining, and it is. It’s acidic and contains stain-causing chromogens. However, most people don’t realize that white wine stains teeth—it’s much more acidic, so it strips tooth enamel and leaves them vulnerable to staining from anything else you’re eating at the time. Rich Sauces: Sauces that have a rich color—think tomato sauces and curries—combine both acidity and stain-causing pigments that can darken tooth dentin. Food Coloring: It’s not difficult to imagine why foods high in food coloring stain teeth. After all, they have added chemicals whose sole purpose is to turn the food a bright color! Popsicles and hard candies are big culprits here. Sugary Drinks: Sports drinks, energy drinks, and soda all contain acids and high amounts of sugar that are damaging to your teeth. They can leave your teeth vulnerable to stains from any food coloring in the drink—and cause cavities as well. Balsamic Vinegar: All vinegars are acidic, but balsamic vinegar combines the acidity with darker coloring that can stain dentin. Berries: Cranberries, blueberries, and cherries all contain lots of chromogens and can stain your teeth. In general, if a food (or drink) will leave a stain that is tough to remove from fabric, chances are it will stain your teeth as well. Avoid sugary drinks and highly processed sugary treats. They tend to cause tooth decay as well as stains. Drink through a straw. If you’re going to have a sugary or acidic drink, using a straw can largely bring the drink past your teeth, reducing the risk of stains. Brush your teeth, rinse your mouth, or even chew sugar-free gum after eating or drinking these trouble foods. It helps remove the stain-causing compounds from your mouth. You can always use consumer whitening products to reduce stains on your teeth, and in fact, we’ve blogged about them recently! 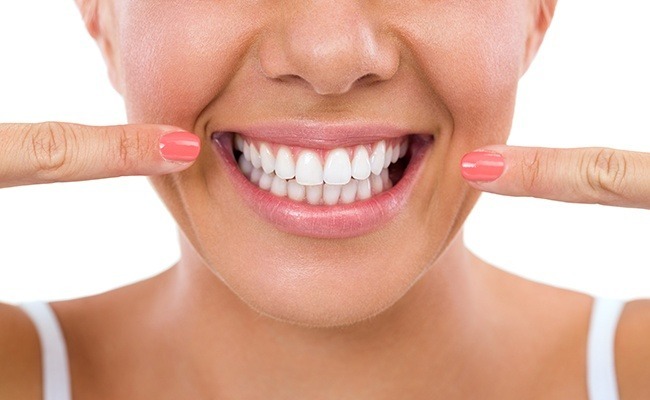 However, if you really want to whiten your teeth as much as possible, we’d love to talk to you and explain the results you can achieve with professional whitening. To learn more about how to reduce the risk of stains or to schedule an appointment, call your Palmdale, CA dentist at 661.202.3542 today!